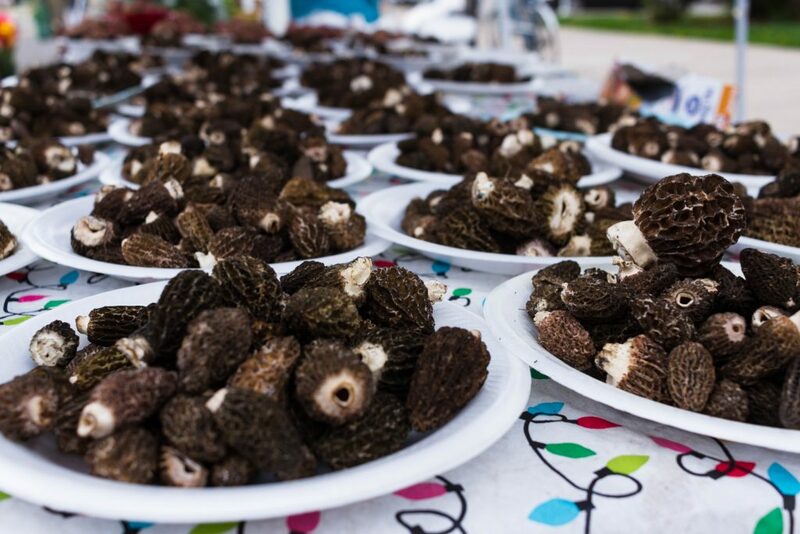 The Missoula farmers markets are full of local favorites and seasonal surprises like morel mushrooms and fresh huckleberries. Firsts things first: coffee. Start your Saturday off with a cup of Montana’s best at Black Coffee Roasting Co. (named the Best Coffee in Montana by Cosmopolitan and Mental Floss, 2017). Try the AM blend…it’s morning, after all. A kayaker on Brennan’s Wave in downtown Missoula. From there, stroll downtown to the Clark Fork Market (did we mention Missoula is kind of famous for its outdoor market scene?) and grab yourself a waffle sandwich. Trust us, you won’t be disappointed. 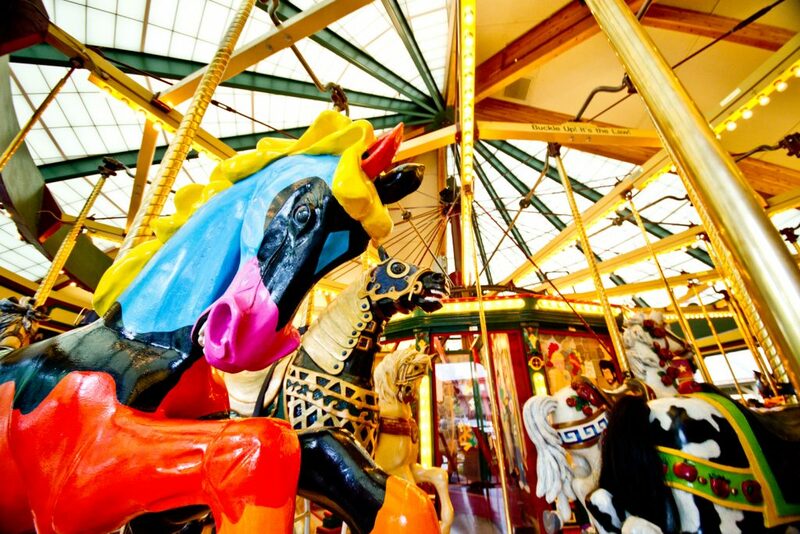 A Carousel for Missoula was hand-carved and painted by Missoula residents. 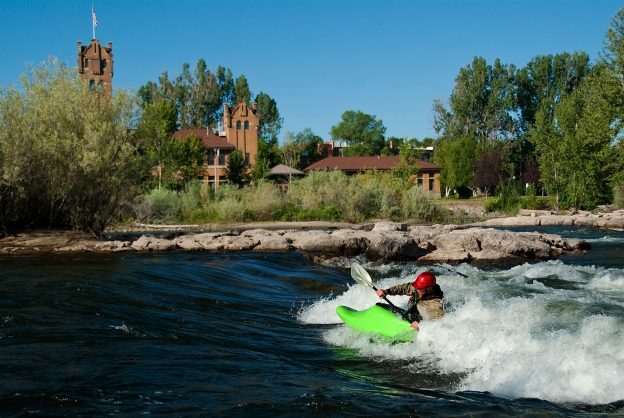 While you’re in Caras Park, take a spin on A Carousel for Missoula and then take a look out over the river’s edge at Brennan’s Wave and watch the surfers and kayakers play in this man-made whitewater playground. From there, head up onto the Higgins Bridge and begin your exploration of downtown Missoula’s shops, galleries and eateries. Then for good measure (and because it’s delicious), grab some ice cream at Sweet Peaks or the Big Dipper. When happy hour rolls around, stop in at the Top Hat or Finn & Porter for appetizers and drinks, and then spend a relaxing evening with an Eddy Out® Pale Ale or a Fresh Bongwater™ Hemp Pale Ale at Kettlehouse Brewing Co. When you work an appetite back up, head to the Wally & Buck food truck (recently setting up camp outside the southside location of Kettlehouse Brewing Co.) for a handcrafted, grass-fed burger from Missoula’s own Oxbow Cattle Company. 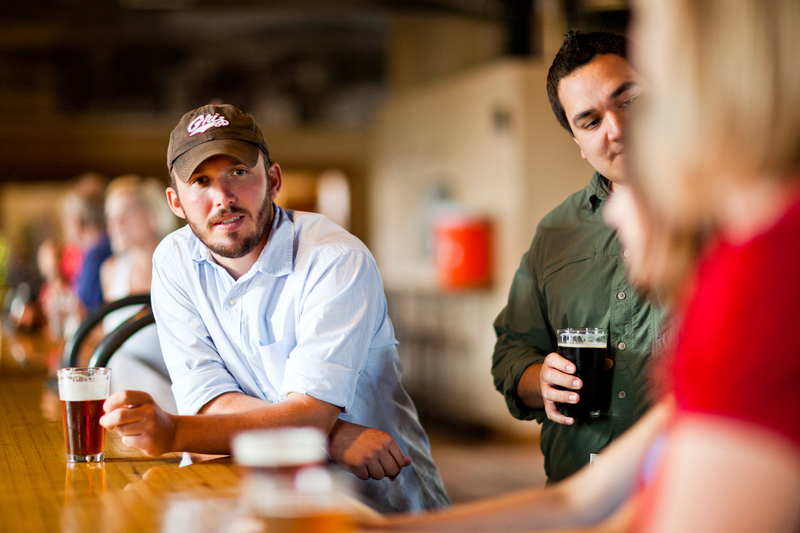 Read more about Missoula breweries here. 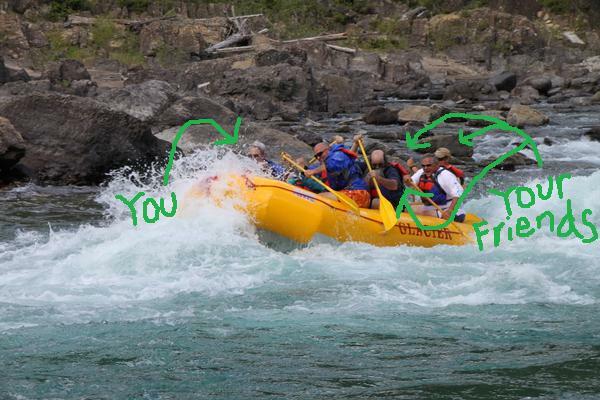 Don’t be scared off by the line…It moves quickly! 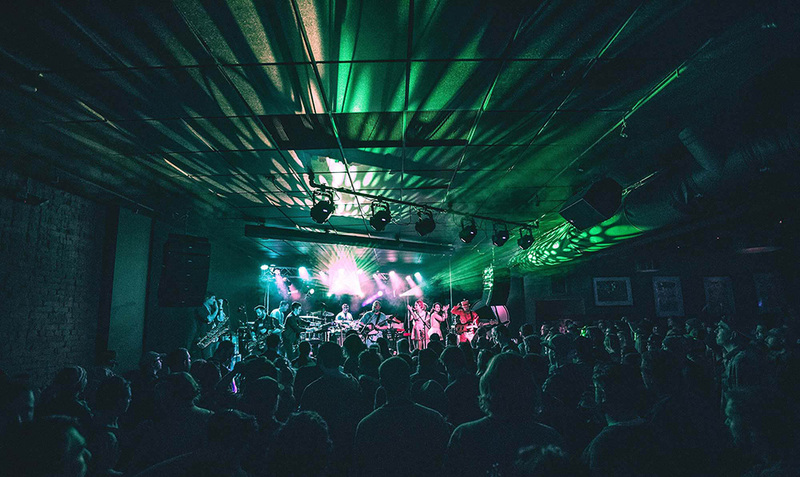 If by this point you’re not quite ready for Saturday to be over, there’s a good chance you can catch a live show at the Top Hat, The Wilma or the Kettlehouse Amphitheater. Check out our events page to plan your next visit around a fantastic Glacier Country event. 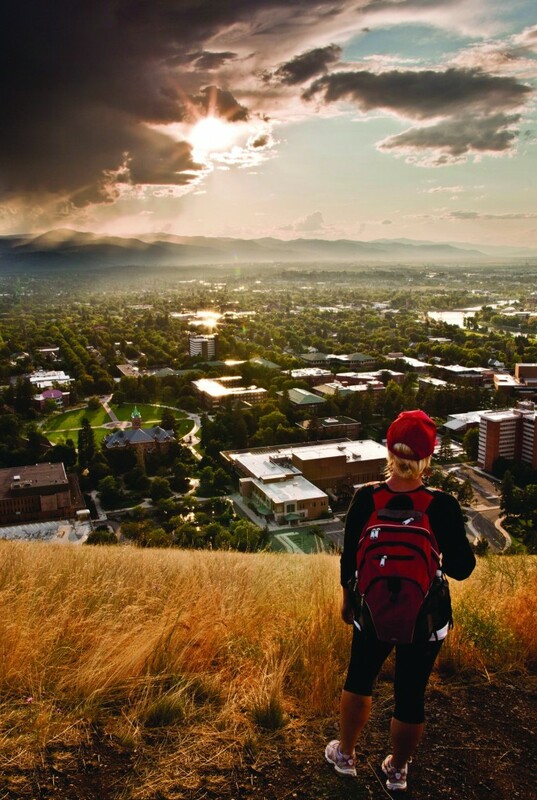 When the day is done, enjoy some of Missoula’s warm western hospitality at any of its fine lodging options, and rest up for Day 2 of exploring the Garden City. 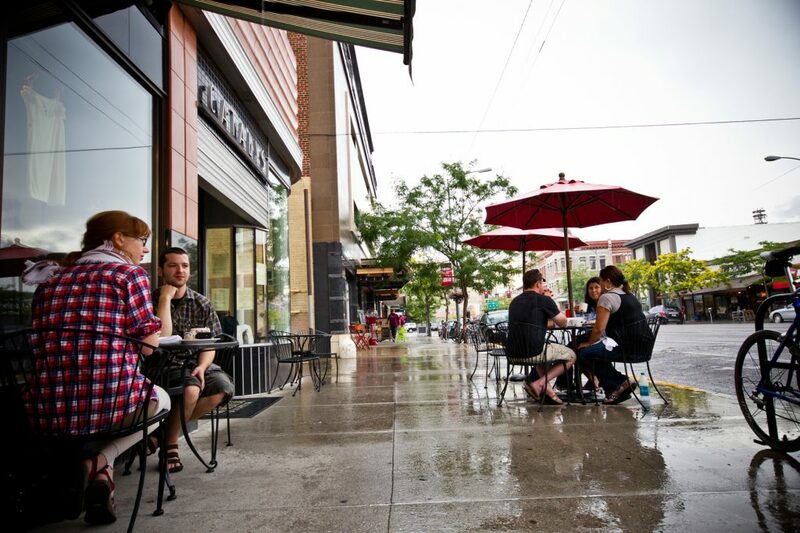 Head downtown to devour a breakfast at the Catalyst Café & Espresso Bar. 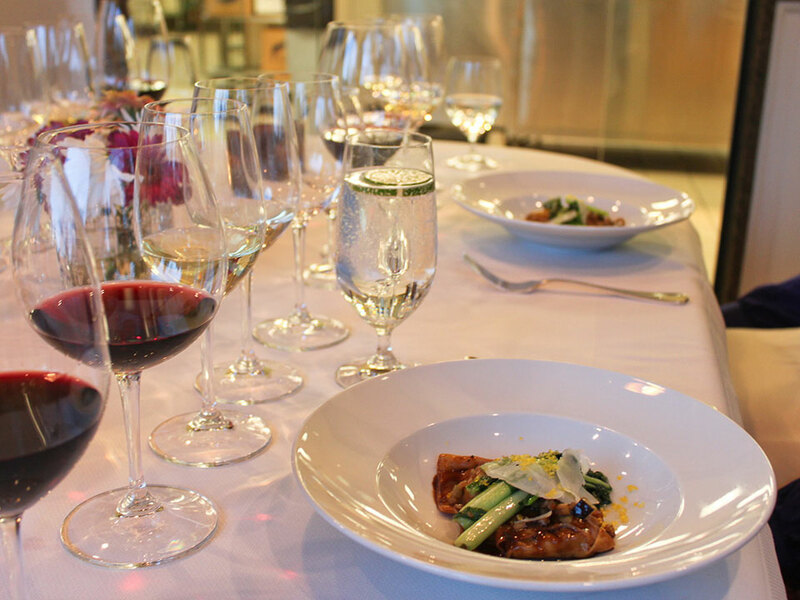 We promise it will be an incredibly delicious experience. The Catalyst’s menu is full of locally sourced ingredients and excellent vegan and vegetarian options. Now that you’re full and caffeinated, and since you’ve explored a bit of the town already, it’s time to play outside. 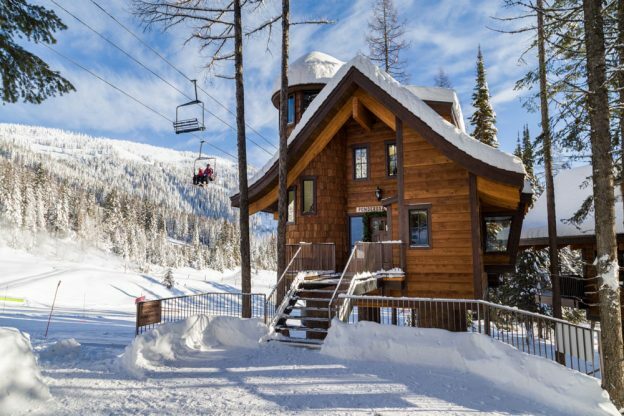 Head to Missoula’s Snowbowl, where there’s plenty to do no matter the season. 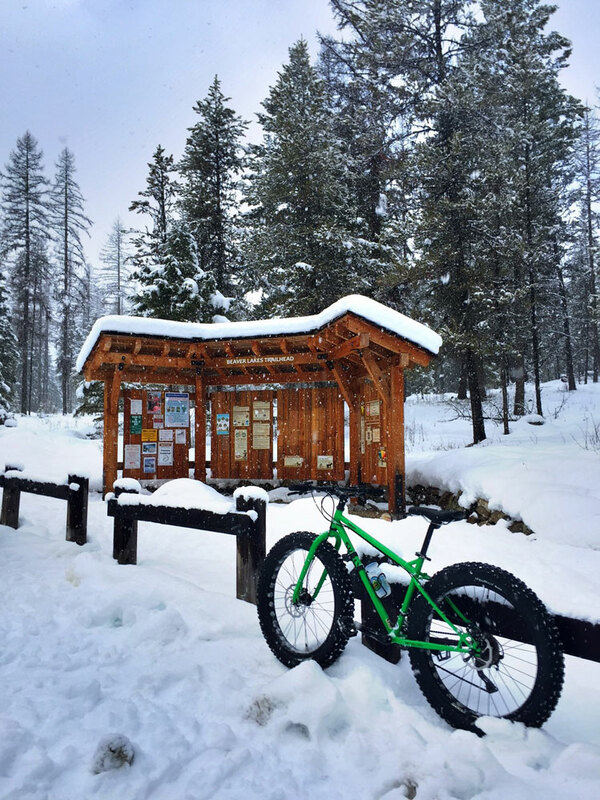 Hike, bike or zip line your way around the bowl and stay put for a lunch on the mountain…Snowbowl is famous for its Bloody Marys and wood-fired pizza. When Snowbowl isn’t full of snow you can catch the chairlift and folf, bike or hike at the top of the mountain. After a day spent playing under Missoula’s big blue sky, check out Western Montana’s premier shopping destination, Southgate Mall. Shop till you drop and then grab a bite at the mall’s Mustard Seed Asian Café, and take your server up on dessert—it’s well worth the calories. 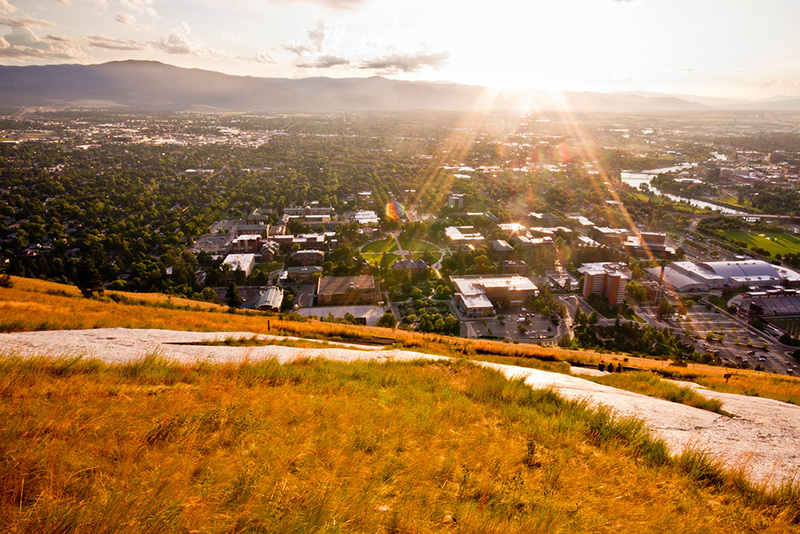 From there, head back toward downtown and see a film at Missoula’s historic community theater The Roxy. 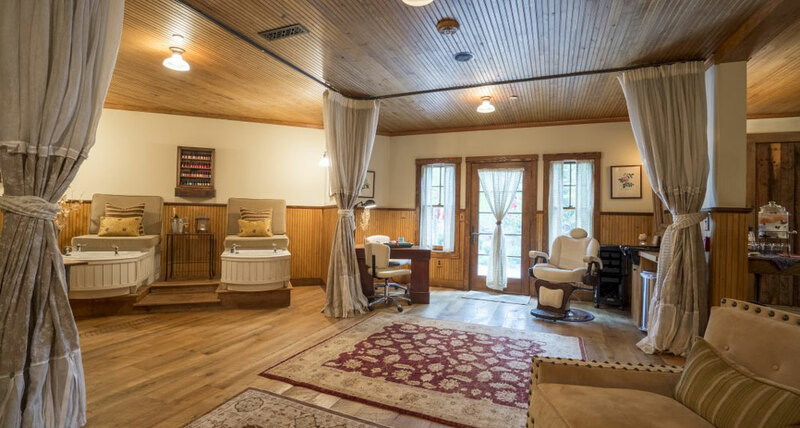 Pssst…they serve organic popcorn, beer and wine. 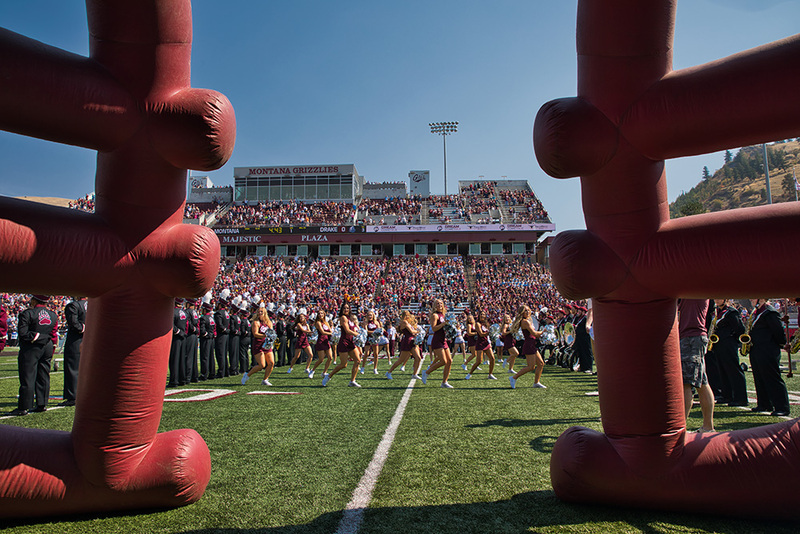 As Sunday comes to a close and you reflect on your weekend in Missoula, you’ll likely find yourself thinking about when you can return again. 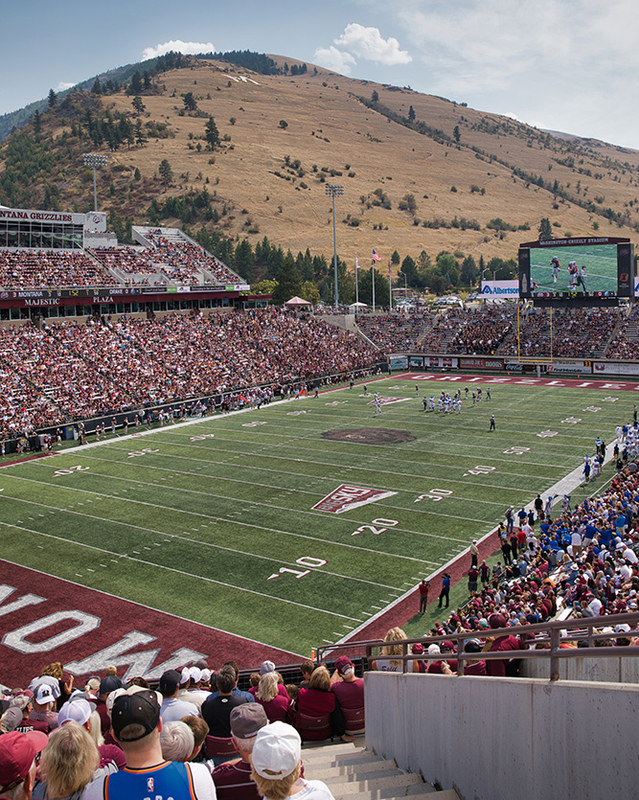 After all, you’ve only experienced a fraction of the one-of-a-kind activities a weekend in Missoula offers. We have so many tips, tricks and favorites to share that can’t possibly be squeezed into two days. Visit our Missoula community page for lodging options and more activities. 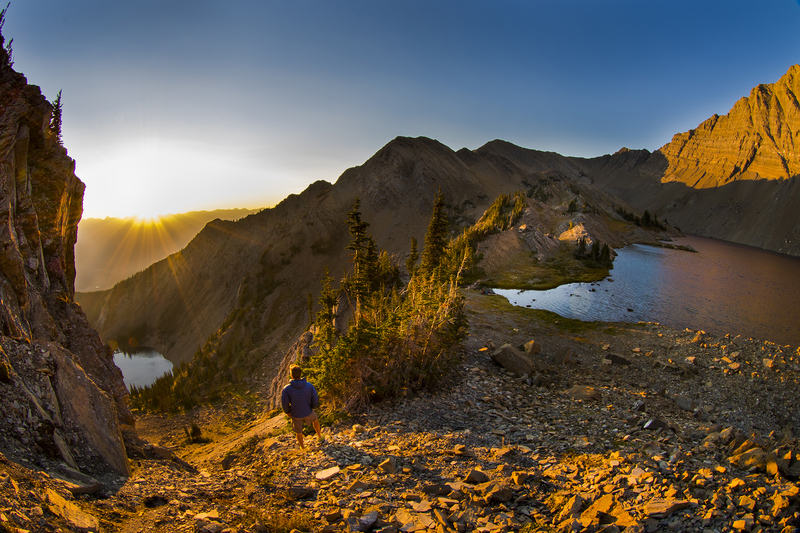 In the mood for a hiking weekend instead? Missoula has several trails with beautiful views on the edge of town. Try Mount Sentinel (pictured), Peace Park or Blue Mountain to see Missoula from another perspective. Visit our hiking page for directions. This entry was posted in Direct Flights, Events, Family Fun, Farmers Market, Food, Missoula, Montana, Montana Fun, Shopping, Stay, Uncategorized on June 22, 2017 by glaciermt. Want to know what I like? Discounted flights. Want to know what else I like? Telling you about discounted flights to Glacier Park International Airport (FCA) near Kalispell. 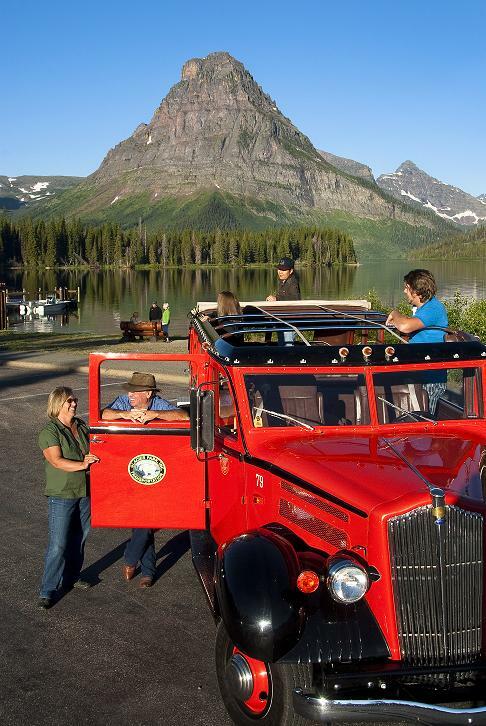 Our friends at Glacier Raft Company have partnered with Alaska Airlines/Horizon Air to provide an even easier way for visitors to come to the Flathead Valley and Glacier National Park during May and June. As part of the promotion, the airlines have given Glacier Raft Company a link and promotional code that provides a 20% discount on flights to FCA between May 1 and June 30. (Are you loving this?! We totally are). 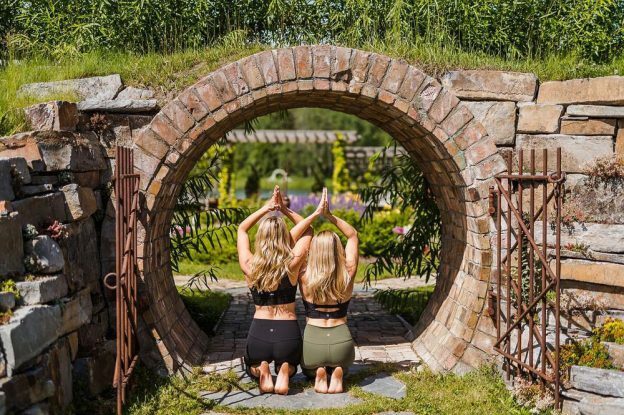 To take advantage of the promo, click on www.glacierraftco.com , follow the Alaska Airlines/Horizon Air link on their home page and input the promo code provided. 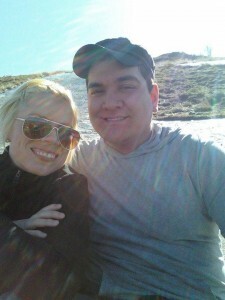 Sidenote: Travel must be booked by May 1, 2011. And if receiving 20% off an airline ticket isn’t awesome enough by itself, Glacier Raft Company is also offering “Two for One” raft trips as part of this promotion. When you book your trip with Glacier Raft Company, be sure to mention you’re traveling with Alaska/Horizon and bring your boarding pass when you check in for your rafting trip. For more details, click here. 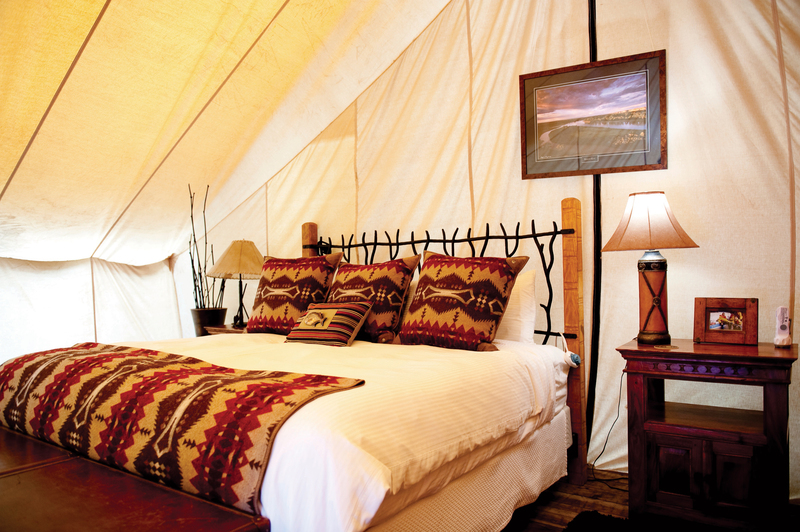 PS: May and June (we heart June) are great times to visit Northwest Montana. Plus, they provide a quiet time to explore the park…you’ll even have much of it to yourself! 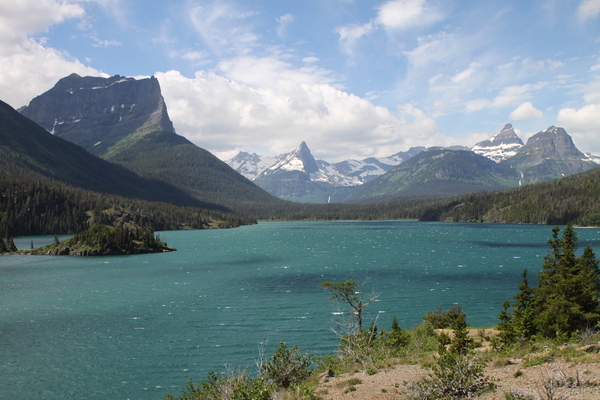 This entry was posted in Direct Flights, Glacier National Park, vacation and tagged Glacier Country, Glacier National Park, Glacier Raft Company, Travel Deals on April 15, 2011 by tiatroy. We’re completely tickled about this new offering! 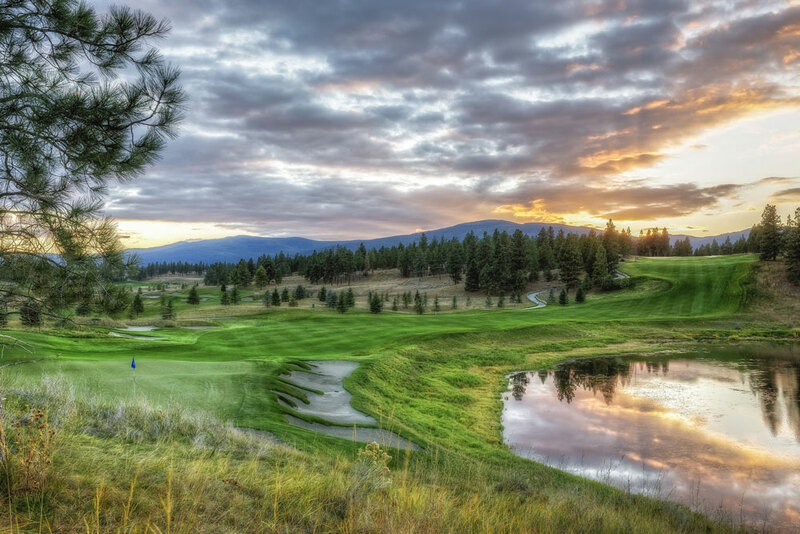 Not only will it allow Montana residents to jump a quick flight to Portland and the beautiful Oregon cost, but it will provide Portland area residents with a short, direct flight before they’re out exploring Western Montana. And as an added bonus, passengers in either direction will be flying Horizon Air’s Q400 turboprop. This plane is one of the most environmentally friendly regional aircrafts, burning 30 percent to 40 percent less fuel than comparable jets. Very cool. Because we’re so stoked about the this new flight, we’ve put together a list of 10 Not-To-Be-Missed Western Montana Activities & Attractions. 1) Check out our breweries. 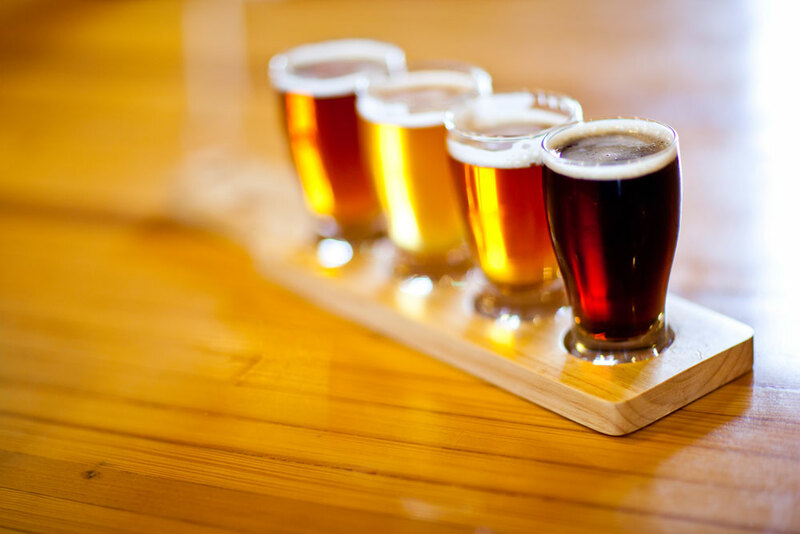 Portland is a great beer city and we’d love for you to taste some offerings from our local craft breweries. Plus, we dig the the names of our brews: Golden Grizzly Ale, Moose Drool, Dancing Trout and Old Stache Porter. (Yep, there’s a mustache on the bottle). 2) Rub elbows with smokejumpers at the Smokejumper Visitor Center in Missoula. During the summer, the smokejumpers train here before being called out to fires, most often found in remote mountainous terrain. (Hands down, one of my favorite attractions in all of Missoula). 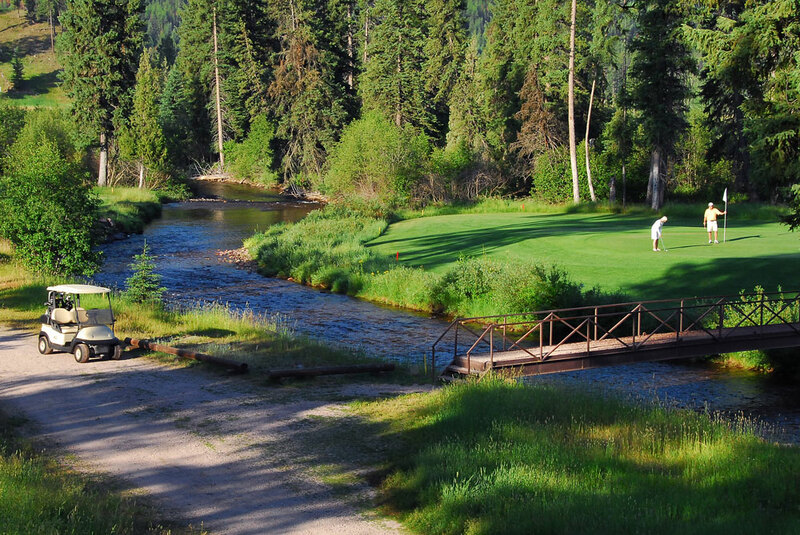 3) From Missoula, you’re within easy reach of three blue-ribbon trout streams. 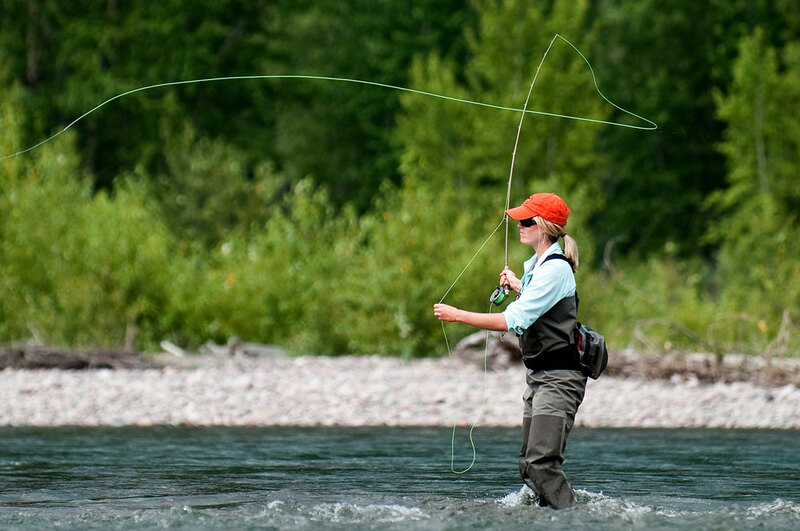 Whether you’re looking to cast a line or float the waters, check out the Blackfoot, Clark Fork and Bitterroot rivers. Take a rafting or kayak trip with 10,000 Waves Raft & Kayak Adventure. For fishing guides in the area, click here. 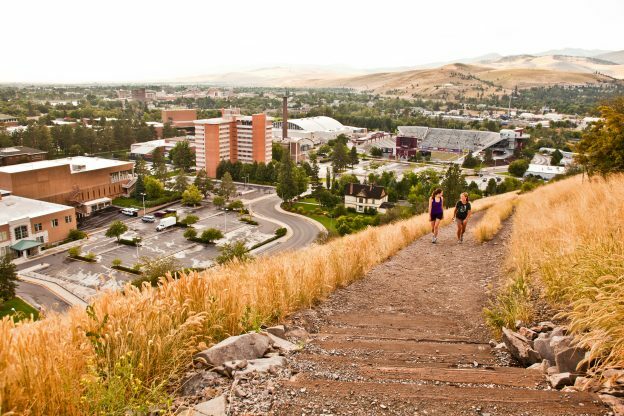 4) Hike the M. This short hike on Mount Sentinel is one of the most popular in the state. 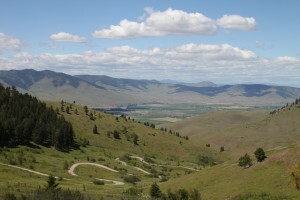 It also provides a beautiful view of the Missoula Valley. 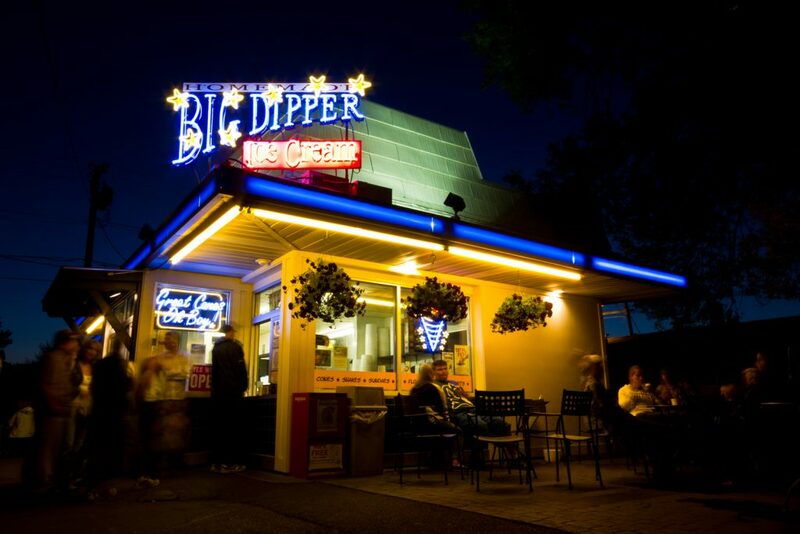 After you’re done, reward yourself with ice cream from The Big Dipper. 5) Eat a Nap’s burger. These burgers make my mouth water just thinking about them. 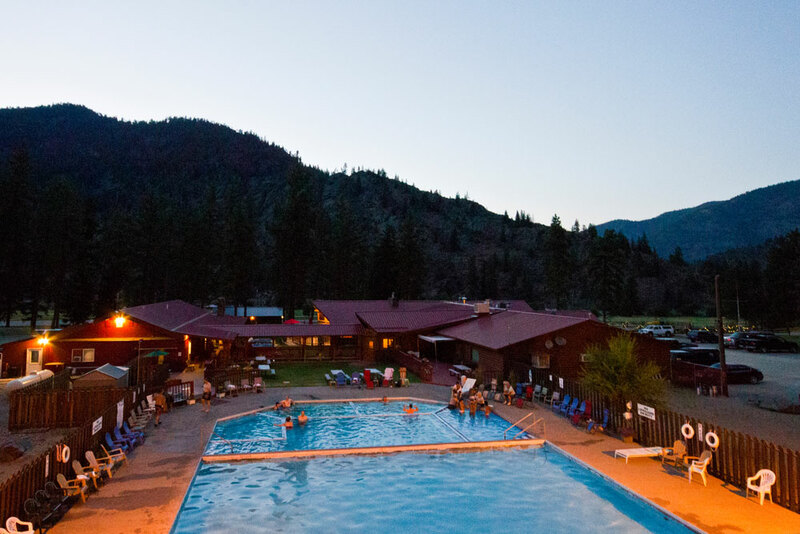 Located in Hamilton (about an hour’s drive south of Missoula), they are totally worth the drive. Trust me. 6) Visit the National Bison Range. This range is one of the oldest in the nation and is home to 300 – 500 head of bison, as well as black bears, antelope, deer and more. Plus, the views are serenely beautiful. The view from Red Sleep Mountain Drive. 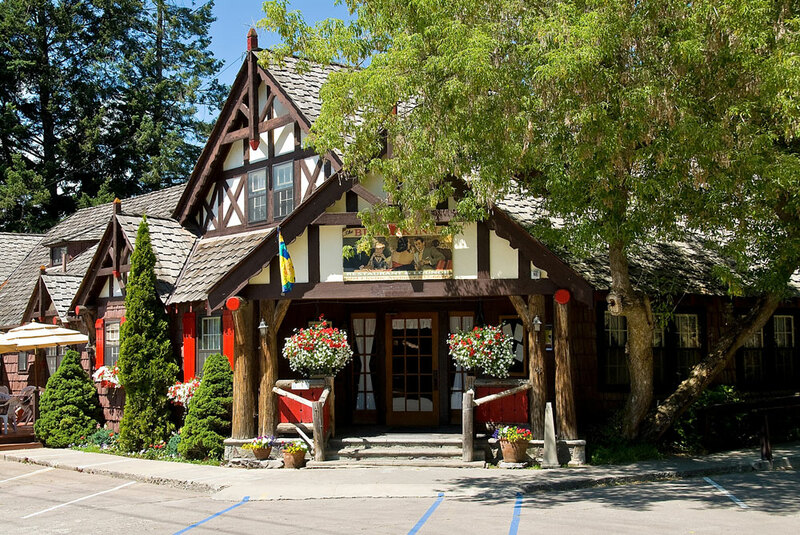 7) Visit Flathead Lake. Take a boat cruise on The Shadow at KwaTaqNuk Resort in Polson, wade in the water or pick up perfectly ripe Flathead Cherries to snack on during your travels. 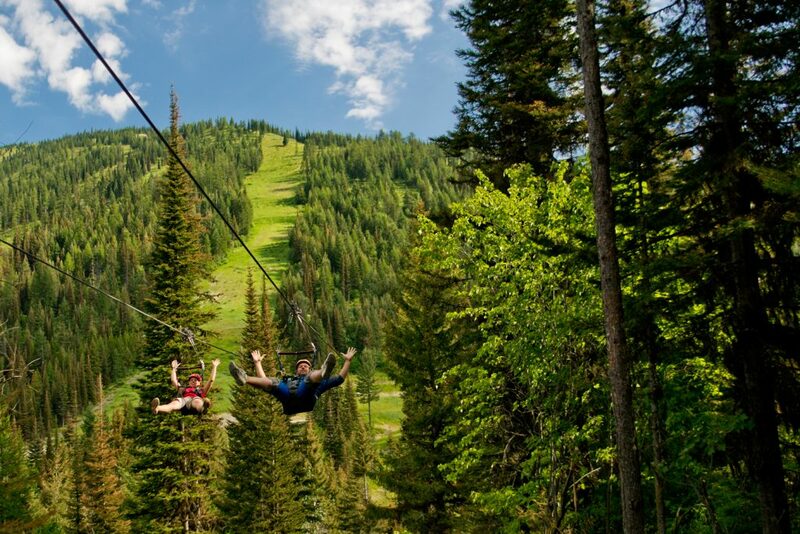 8) Ride the zips at Whitefish Mountain Resort. 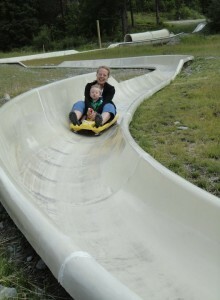 The resort offers tours on the “Original 4” or the full “6 Zips.” The 6 zip tours has an 1,800-foot long line that takes zippers 300 feet above the ground. If you have little ones? Take them down the Alpine Slide. They’re sure to love it! 9) For a quiet and beautiful drive, travel through the Seeley-Swan Valley. 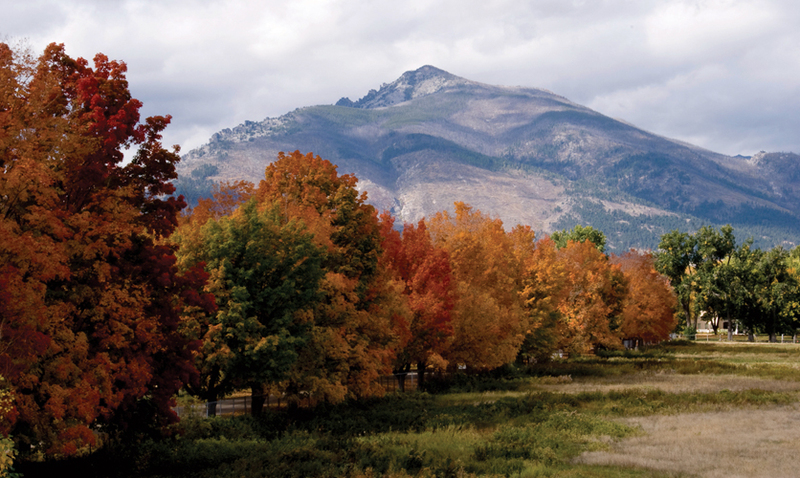 It’s home to countless lakes, charming little towns and endless outdoor recreation. One of my favorite activities: rent a canoe in town and paddle the Clearwater River Canoe Trail. 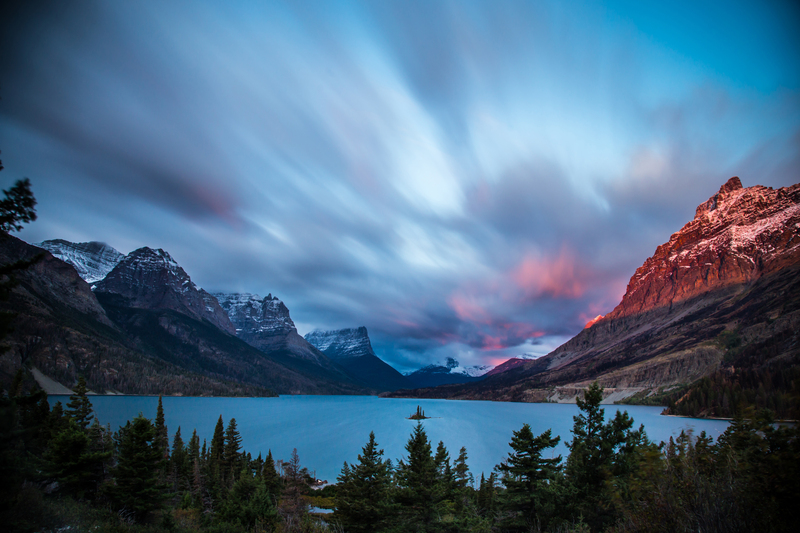 10) If you’re coming to Western Montana, Glacier National Park is a definite must see. The park has more than 700 miles of trails, plenty of lakes for water fun, boat tours, wildlife and historic lodges. 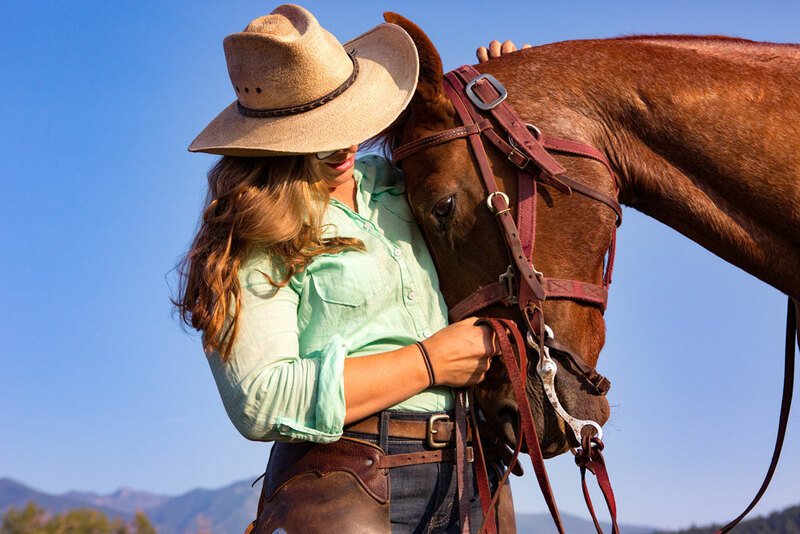 Numerous outfitters also offer guided tours in and around the park, from red bus tours to trail rides and helicopter tours to rafting and fishing trips. 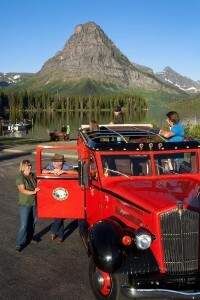 Red bus tour in Glacier National Park. For more travel ideas, visit glaciermt.com. Let’s hear it for direct flights! This entry was posted in Direct Flights and tagged Glacier Country, Glacier National Park, Missoula, Montana, Play, red bus tour, Summer, Travel Deals, Whitefish Mountain Resort on March 4, 2011 by tiatroy.